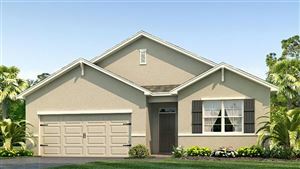 East Manatee County offers a wide array of expertly planned neighborhoods each with its own character. Golf enthusiasts will love the up-scale country club living experience of Heritage Harbour, River Strand and Waterlefe. Greenfield Plantation is built around a public golf course for care-free golf course living. Greyhawk Landing welcomes you with tree-lined streets and a community center complete with resort-style pool, tennis, basketball, playground and sports field. Mill Creek and Country Creek have a variety of single family home styles in a traditional neighborhoods. You will have room to roam on the generous lots in Country Meadows. These are just a few of the home options you will find in this area. All of these neighborhoods are perfectly located near excellent schools and easy interstate access. You will love calling East Manatee County your home!